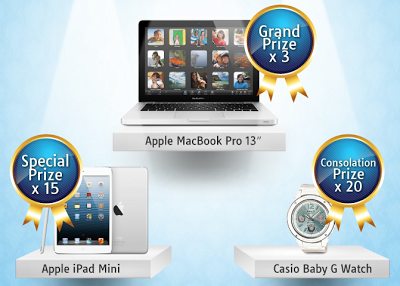 Grand prize x 3: Apple MacBook Pro 13"
Submit a original pictures of white item via Facebook, instagram or Twitter. Submissions must feature a Darlie All Shiny White toothpaste of any variant. For instagram or Twitter, entries must add "#whitenyourworld"
Visit Darlie Malaysia Facebook fan page for more details.